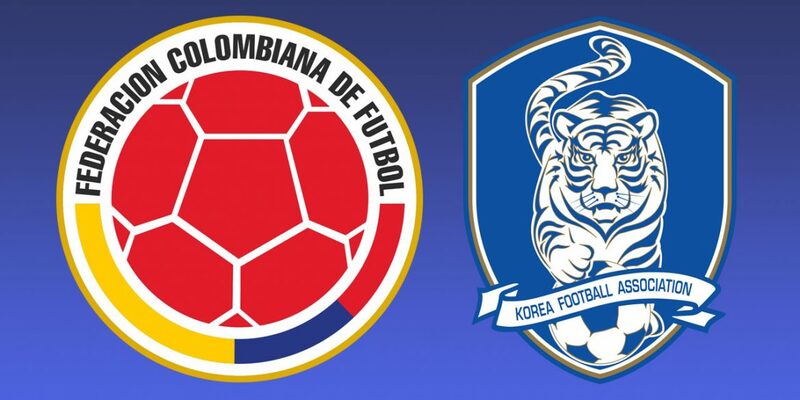 Colombia’s national football team was on Tuesday beaten 2-1 by South Korea in an international friendly in Seoul as life under new manager Carlos Queiroz continued. Goals from Son Heung-min and Lee Jae-sung either side of a wonderful Luis Diaz effort were enough to see South Korea edge past Queiroz’ side, albeit in experimental circumstances in front of a 64,000-strong crowd in the capital. Queiroz made nine changes to the team that beat Japan 1-0 on Friday with established stars Radamel Falcao and James Rodriguez dropping to the bench and the likes of Afredo Morelos, Duvan Zapata and Diaz given an opportunity to impress. It was South Korea however that started the brighter with Tottenham Hotspur star Son a thorn in the Colombian side from the outset. The South Korean captain led an early onslaught against the Colombians and was unlucky to see an eight minute effort blaze over Ivan Arboleda’s crossbar. Son made no mistake in the 17th minute however when he was released down the right by Hwang before unleashing a powerful shot that Arboleda failed to deal with at his near post. In what was an open first half, Colombia responded in positive fashion and had a glorious chance to equalize in the 38th minute when Glasgow Rangers’ Alfredo Morelos failed to get on the end of a deep Sebastian Villa cross when all it needed was a touch. Colombia came out for the second half in search of an equalizer and had it within four minutes with a stunning Diaz effort. The Junior de Barranquilla attacker battled past two South Korean defenders before curling the ball into the far right corner of Jo Hyeon-woo’s goal to get his side back into the game. Colombia however failed to capitalize on the equalizer and they found themselves behind again in the 58th minute when Lee cut in from the right and saw his shot fortunately go under the body of Arboleda to find the net. Queiroz rung the changes late on in the second half with James and Falcao entering the fray as Colombia pressed to level the tie in the closing stages. James provided a decisive edge to the attack and had several efforts on goal and if it werent for the heroics of Taeguk Warriors’ ‘keeper Woo, both the Bayern Munich star and team captain Falcao would have scored. The latter had the ball in the net at the death after a scramble in the box, only to see it ruled out by the linesman who deemed him to be offside. Colombia coach Queiroz conceded after the game that “nine changes is difficult for a team” and despite the result he will be pleased to have given game time to most of his squad as preparations continue for the Copa America in Brazil. Colombia will face Argentina, Paraguay and guest nation Qatar in the group stages of this summer’s competition, which starts in June.